Last week, we were at SHOT Show taking a look at all the great new products that are coming out in 2019. If you missed our coverage, be sure to check out all of our videos straight from the show floor. David C. Andersen, our product specialist and star of our YouTube channel, has picked out a few of his favorite things that he saw when he was in Vegas attending the show. The first item up is something we actually got in a couple of weeks ago just before the show kicked off, and that’s the CRKT Provoke by Joe Caswell. If you haven’t seen it yet, it’s an innovative take on the popular karambit design that features a new kinematic opening system. This is an innovative new opening design that addresses some shortcomings of the typical folding karambit. The buzz at the show for it was great, everyone loved to see it, and we’re excited to have it in. If you’re a knife nut, you know how hard it is to keep track of all your Torx bits that you use to adjust the pivots and screws in your knives. 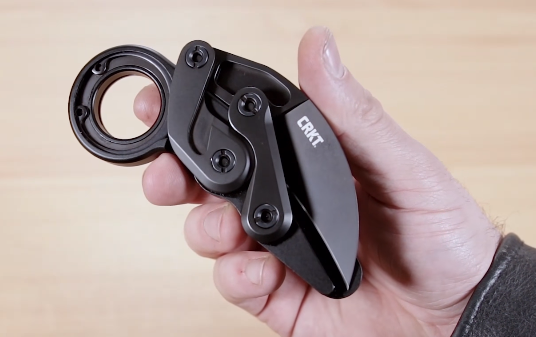 CRKT’s new Twist and Fix tools really fix that problem by keeping them together in one neat little unit. 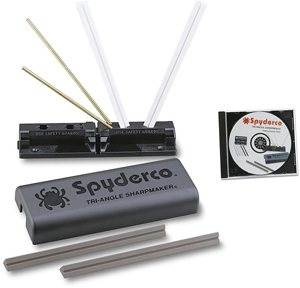 What this thing has going for it over some other all-in-one tools is a really streamlined design that also has a fidgeting aspect to it. It’s essentially a bent pin coupler design, and it’s really fun to twist it around and watch the bits raise and lower until the one you need is ready for action. It’s not just a Torx set that’s available, either. 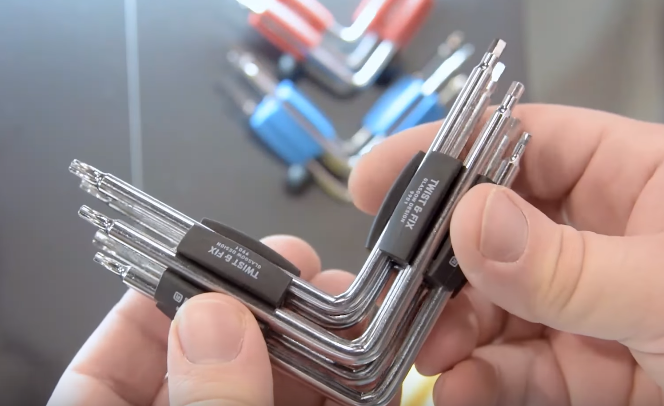 They’re also coming out with versions containing popular home screwdriver bits (including Phillips and flathead), sets that combine Torx and hex wrenches, and a socket set. There are a lot of new things from Gerber coming in 2019, and Karrson Koivisto was kind enough to talk us through them as we stopped by the Gerber booth at SHOT Show 2019. 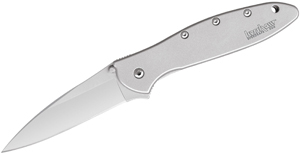 CRKT has some killer new innovations coming to market this year. We stopped by their booth at SHOT Show 2019 to get a closer look at their new Provoke as well as their new Deadbolt Lock. We took a trip over to the TOPS booth at SHOT Show 2019 to see what new tactical and outdoor offerings they are going to be coming out with this year. Italian manufacturer LionSteel has some new offerings for 2019 that use premium materials and quality construction for some high-performance blades. The KnifeCenter crew loves to spend time outdoors, so we’re always in need of sturdy fixed blades. Ontario has some new stuff that has us really excited this year, so we stopped by their booth at SHOT Show 2019 to see what new knives we will be beating up on. 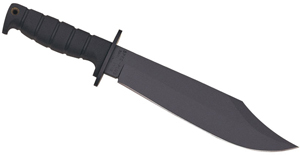 Rick Hinderer makes some of the best high-end tactical knives money can buy. We took the time to catch up with him at SHOT Show 2019 to see what new Hinderer knives are coming to the market this year. Kenton Green from Boker talks us through the new offerings for 2019, especially the limited editions celebrating their 150th anniversary. We dropped by the Kizer booth at SHOT Show 2019 to see what new knives they currently have on the market and what we can expect for the rest of the year.